M1: [Bow] Mike Hoffman,  Neil Paul,  Craig Lambert,  Conor Burgess,  Joel Wilson,  Paddy Buchanan,  Andre Thunot, [Stroke] Lachlan Jardine, [Cox] Will Miller, [Coach] Chris Smith, [Boat] Adrian Cadbury. 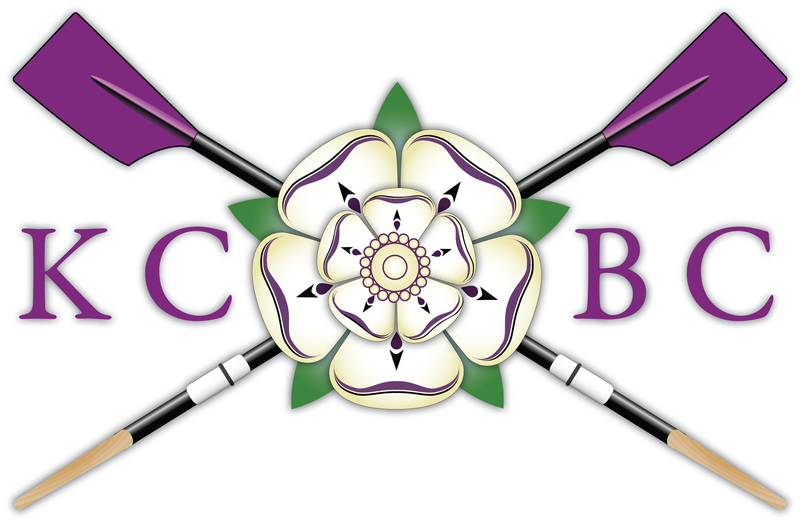 W1: [Bow] Naomi Fenwick,  Brioni Kate Aston,  Sarah Williams,  Alex Hayes,  Beth Wratislaw,  Liz Dzeng,  Matilda Greig, [Stroke] Ellie Re’em, [Sub] Marijne Mak, [Cox] Nicole Samuel, [Coach] Roger Thorogood, [Boat] Jolly Roger. W2: [Bow] Yeshe Verhagen,  Roxana Antohi,  Nicoletta Knoble,  Vivienne Yang,  Sophie Harrington,  Kate Erin,  Katharine Russell, [Stroke] Lucy King, [Sub] Marijne Mak, [Sub] Felicity Eperon, [Cox] Ben Alexander-Dann, [Coach] Ed Cronan, [Boat] Sarah Harriet (on loan from Selwyn). The final day of Lents had arrived. The day of reckoning. No one dare mention the possibility of the B word. 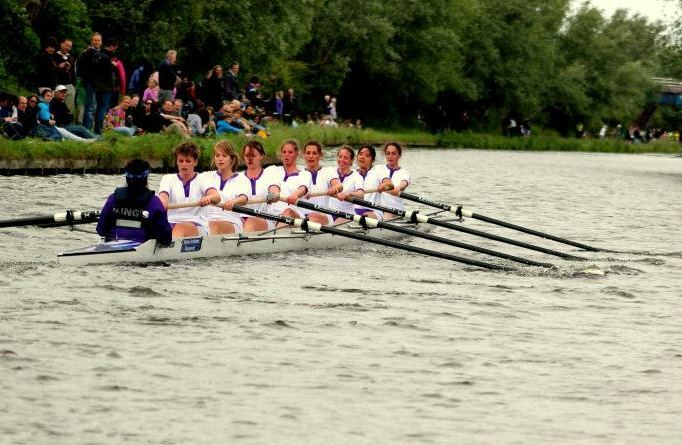 St Catharine’s had continued their progress up the Bumps chart to put Robinson I in front of us, with a chance to get our own back for last year. Catz had even decided to raise the stakes by promising us all a pint if we could take down Robinson before First Post Corner. Anyone would think them worried about getting bumped back! With everything to play for, this was probably the most nerve-racking day by far! Our row down was great, the practice starts were fast, everything was in place as we got pushed out, now with an almost straight line to the motorway bridge following our previous bumps. We started well and pushed Magdalene away almost immediately. One whistle! Already? Surely we weren’t gaining that fast? Will quickly assured us that we were! Two whistles as we came under the motorway bridge! The water was choppy, so we must be close. I could vaguely hear Roger shout something about two feet. Then overlap, and suddenly HOLD IT UP! We had done it, with by far our fastest bump of the week, catching Robinson half way down First Post Reach. After clearing to let the side to let Caius II past and congratulating Selwyn for bumping Magdalene behind us, we moved over to the towpath side to the cheering of our fellow Kingsfolk, who graciously supplied us with bubbly, greenery and the King’s flag, which Will enthusiastically waved as we paddled back past the Plough. Blades were ours at last. The crew went into the last day of Lents breaking even with our starting position. After damaging our boat in the tangle with Jesus III the previous day, we had to switch for our final day of Bumps. The new boat was easier to balance and we hoped this would give us the boost needed to take revenge on Jesus and remain level. With three days of Bumps behind us, our start was composed and smooth as the final cannon of our week sounded. We went off strong, and kept our rhythm passing under the motorway bridge, chasing down the crew who gave us so much trouble on Friday. Unfortunately, Caius III were characteristically on form and were closing the gap. Although the crew were pushing hard to get away, Caius proved too fast and gained their bump. Despite being disappointed by our failure to gain during the week, the crew had rowed well, and put in a much more solid performance than the day before. Given that 6 of our 9 had never competed in Bumps before, the week was an excellent experience for the crew, in which we got bumped, got a bump, and rowed over. With Lents over, the crew is keen to improve for Mays and next year’s Lents, where hopefully we can take back the place we lost and continue the club’s superb return to form. Two quick bumps down, we were all looking forward to chasing Magdalene. Knowing that Emma had gained on them on Wednesday, and that we’d easily bumped Emma yesterday only served to spur us on. Our practice starts on the way down were perhaps not quite as good as yesterday’s, but still sharp and fast nonetheless. The crew was bursting with anticipation as we were pushed out though. From the gun the start was clean, but the rough water hit us fast. The explanation for this came as we quickly got our first whistle. Gaining quickly, we reached our top speed and held it well. Every stroke brought us closer to Magdalene’s stern. Two whistles. Roger started trying to call the distance, but it was diminishing too quickly. Continuous whistles. BUMP! We had hit them before we even hit the corner, and quickly went about clearing the river to watch a strong Selwyn crew chasing down Emma. Three bumps down, one day to go. 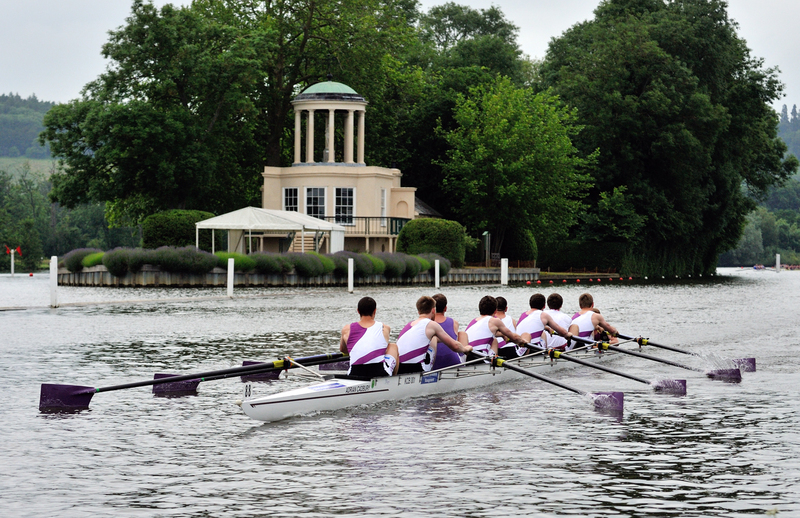 The third day of Lent Bumps was certainly an eventful one for King’s II. After a well-earned day off on Thursday, the crew was raring to go. Unfortunately, Fletcher had not been feeling well for a couple of days and wasn’t fit to row today. Luckily, Rutger stepped in at the last moment, keen to show M2 he had not lost any of his rowing prowess after a term off. We knew this was going to be the toughest day so far. Chasing us were Jesus III, who had bumped on both previous days. Ahead were Churchill II. We came to the conclusion that today we had to give it everything off the start: bump or be bumped. Go hard or go home… After a slight delay due to an incident in the previous division, the cannon fired and the race began. We had a solid start, probably the best of the week. Jesus were quick too, taking the gap down to around a length as we passed under the bridge. Unfortunately, things deteriorated quite rapidly after that. A danger-crab meant that King’s lost a significant amount of boat speed. Jesus capitalised instantly, going from a length to a canvas in a matter of seconds. Becca desperately called for a lift but it wasn’t enough, and Jesus bumped the stern of our boat. However, this didn’t seem to be enough for Jesus, who continued rowing until they had a huge overlap; Becca was nearly hit by a Jesus oar before they held it up. Worse was to come: The collision between the two boats left King’s heading straight towards the bank, with Jesus pinning us in. The boat hit the bank and came to a very sudden halt. A broken bow, but our pride remains intact.